We moved into a new house this summer. There were plenty of closets in the house, but two of them were pretty useless. One was a tiny pantry located inside the kitchen and a closet just five steps away from the kitchen. 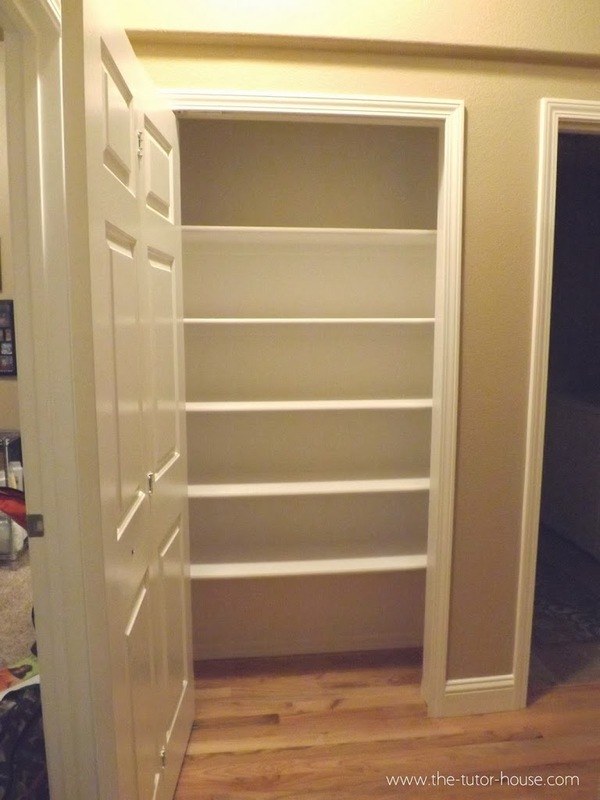 This closet had shelves that were about 10 inches wide and 10 inches apart. I could not even stand up cereal boxes in this closet. My mind started turning…what to do? Then it hit me one evening. Behind it is a walk in closet in a room that is used just for the family office. 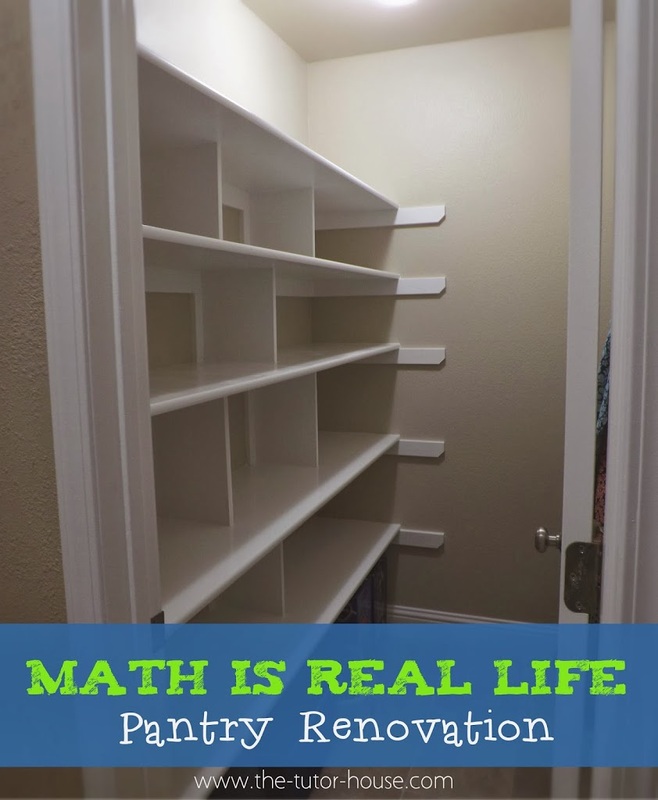 We could knock down the wall between the two closets and make one giant pantry! I told my husband my idea and he was sold. It was a family effort. We all took turns knocking the wall down. Every single one of us was excited to get a new pantry space. Little did I realize it would take us three months to complete! Math was involved in this entire project, but one aspect that took a little more thought was the placement of the door. We wanted to reuse the door that connected to the walk in closet. 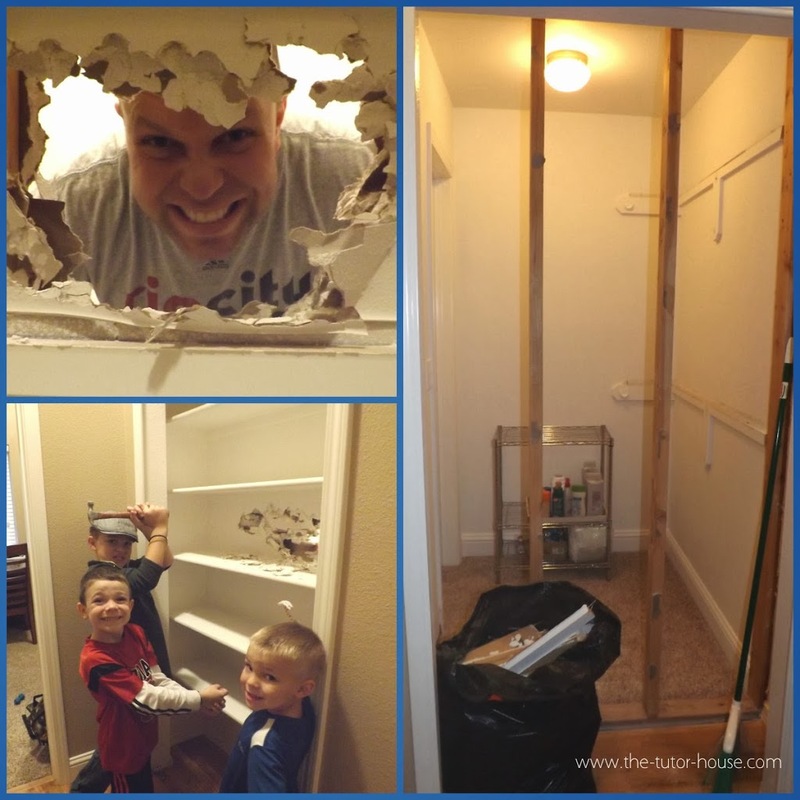 Our plan was to seal off the walk in closet and move that door into the pantry opening. This would involve a little geometry using translations to get the placement just right. We could begin with a rotation of the door by 90 degrees. Then slide it down to the adjacent wall. Now we would have to decide where to place the door. In the left corner or the right–maybe right in the middle? Where should the shelves go? Another option would be to reflect (flip) the door across the wall so that the door opens out into the hallway. But–from a practicality side…that would just plain be annoying. Let's stick with the door opening into the closet. After much debate, we chose to put the door swinging in and all the way to the right so the door was against the wall. Our shelves were 18 inches wide and had various heights for different foods. How Can You Use This Real World Example With Students? This example would work great as a small group project or introduction to real world applications of translations. 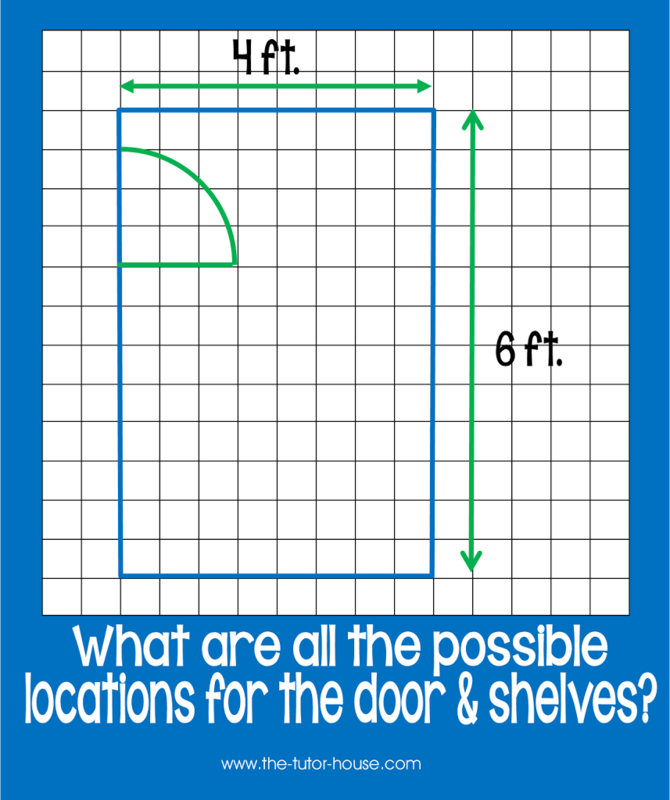 Give your students a piece of graph paper and have them draw out a 4′ x 6′ room with a 2.5′ wide door. Allow them to use translations to show how they would move the door around. Then have them select how wide their shelves would need to be to make the best use of this space. 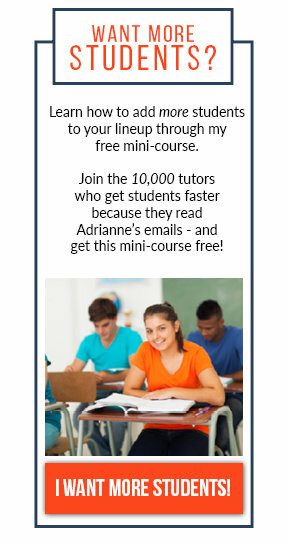 Interested in more real life applications of math? 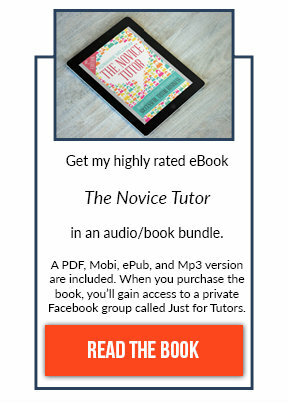 Check out this monthly linky below. Love how this project turned out!! Thanks for linking up with us! !